Potential presidential candidate and former Starbucks CEO Howard Schultz scoffed at the proposed Green New Deal on Saturday and challenged advocates such as Democratic New York Congresswoman Alexandria Ocasio-Cortez to embrace reality instead of socialism. 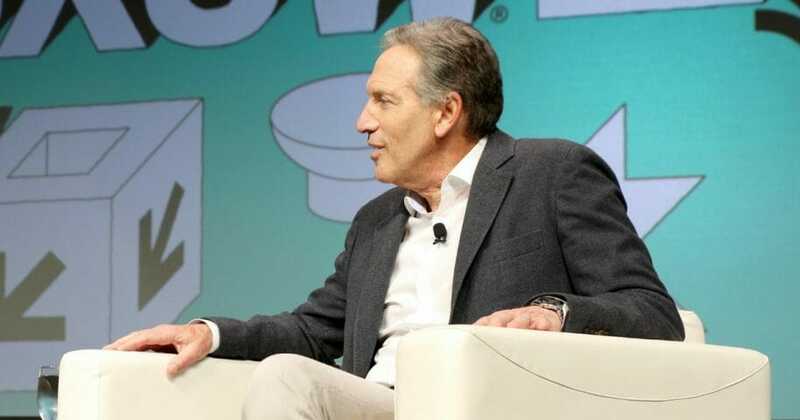 Schultz spoke at the South by Southwest Conference & Festival in Austin, Texas. His criticism of the Green New Deal echoes criticism from GOP lawmakers who have told The Western Journal that the proposal would be a disaster. Schulz has said he may run for president in 2020 as an independent but has been vague about his plans. He said that Democrats’ drift toward socialism is a political gift to President Donald Trump. “If Donald Trump runs against one of those types of candidates it’s my belief that Donald Trump will be reelected, that the vast majority of Americans are not going to embrace socialism,” Schultz said. Schultz said the Green New Deal has lost touch with reality. “Let’s propose things that are true, that are honest, that are sincere, and that are realistic,” Schultz said. Do you agree with Howard Schultz? Ocasio-Cortez could not let the comments pass without a reply. Schultz also said that the growing litany of “free” programs proposed by Democrats ignore the reality that all programs have costs. He added that a job guarantee is a promise that government cannot keep.